Sam Harris’ The Moral Landscape: How Science Can Determine Human Values is a book I admire for attending directly to our dependence on our brains and working out the consequences of that dependence – consequences for how we think about ourselves and our mental capacities and, of course, how we should think about our values. Harris’ subtitle announces a contentious claim. I believe that in arguing for this claim, Harris goes too far. However, I also think he doesn’t need this excess to sustain the main point of the book. I’ll explain both points. The excessive claim is that values are facts. That means: statements that something is good or bad, right or wrong, ought to be done or ought not to be done, are factual statements discoverable by scientific means. There is a long tradition that asserts otherwise. Here are two expressions of the view that Harris is opposing. No description of the way the world is (facts) can tell us how we ought to behave (morality). – David Hume’s view, summarized on Harris’ p. 10. Science is about facts, not norms; it might tell us how we are, but it couldn’t tell us what is wrong with how we are. – Jerry Fodor’s view, quoted on Harris’ p. 11. Harris, in contrast, describes a scientific account of human values as “one that places them squarely within the web of influences that link states of the world and states of the human brain” (p. 13). He says the divide between facts and values is “illusory” in several senses. 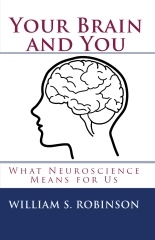 He holds that “Whatever can be known about maximizing the well-being of conscious creatures – which is, I will argue, the only thing we can reasonably value – must at some point translate into facts about brains and their interaction with the world at large” (p. 11). The argument behind Hume’s view, which prevents me from agreeing with Harris here, rests on the intuitive idea that your argument can’t be a good one if your conclusion asserts something about a topic you didn’t mention in your premises. For example, if you haven’t mentioned hyenas in your premises, you can’t draw justified conclusions about them. Even if you’ve said a lot about African mammals, you’re not entitled to conclude anything about hyenas unless you have a premise that says hyenas are African mammals. And similarly, you can’t give a cogent reason for a value judgment – a judgment that something is good, or right, or ought to be done (or their opposites) – unless your premises say something about what is good, or right, or ought to be done (or their opposites). That would be no obstacle if some value judgments could be known to be true by observation. But there is no sense organ for observing values, and no observational science of values. So, value judgments that we can support must be supported by arguments, and if these are good arguments they must already assume some premise about values. Ultimately, therefore, if we have reasons for any of our values, we must have some value judgments that are not supported either by reasons or by observation. But science rests on observation and reasoning. So some of our value judgments are not supportable by scientific means. But Harris does not need to disagree with this point. The rest of what he says in The Moral Landscape fits very well with accepting both Hume’s fact/value distinction and the reason just given for it. All we need to do is to distinguish the basic values that constitute well-being from less basic values that are believed – rightly or wrongly – to promote well-being. The key point is already visible in the last remark quoted from the book. Suppose we agree on what constitutes the “well-being of conscious creatures” and that in actual fact we agree in positively valuing this well-being. Then we can turn to our sciences to tell us about better and worse ways to get it. There will be genuine, scientifically discoverable facts about what promotes well-being and what interferes with it. This role of science is not in conflict with the view that scientific methods are not suited to tell us whether, for example, “Chronic hunger is bad” is true. Sociological science can, of course, tell us whether avoidance of hunger is valued, i.e., whether people agree that chronic hunger is bad. But Harris would be among the first to insist that finding out the facts about what people agree to is not the same thing as finding out what is true. The right and wrong answers to moral questions that Harris wants science to provide can be found, provided we have wide agreement on what we most basically value. It may seem that we don’t agree in basic values, because moral questions are notorious for provoking disagreement. The response that is implicit in Harris’ book is this: We do in fact agree on many aspects of what constitutes well-being. Then we can use our sciences to distinguish between successful and unsuccessful ways of getting it. One result of applying our sciences is learning that some of our less basic moral judgments are wrong – objectively wrong. To say that a moral rule is wrong means: If people follow that moral rule, they will frustrate the achievement of the most basic values that constitute well-being. We have all evolved from common ancestors and are, therefore, far more similar than we are different; brains and primary human emotions clearly transcend culture, and they are unquestionably influenced by states of the world . . . . No one, to my knowledge, believes that there is so much variance in the requisites of human well-being as to make the above concerns seem plausible. (1) There are important basic values (e.g., avoidance of hunger, cold, pain and other miseries, enjoying social relations, satisfying curiosity) that humans share. That we do share these values is a sociologically establishable fact, but the truth of the statements that such things are valuable is not something science can underwrite. (2) Science can help us achieve more of what we basically value (and avoid more of what we basically disvalue). (3) Many moral judgments (both those held by individuals and those built into social or religious institutions) are not expressions of basic values, but are instead intermediate level rules. These rules may or may not actually conduce to our well-being. Science can provide good, objective reasons for adoption of genuinely helpful rules and practices, and good, objective reasons for abandoning rules and practices that conflict with satisfying our basic values. Harris seems to think that the fact/value distinction has to be rejected if we are going to be able to use science to help achieve well-being. This is not so. My drift here has been that we can accept all three of these key points while recognizing that the truth of “Chronic hunger is bad” (for example) is not something that scientific methods are relevant to establishing. The power of this truth comes not from scientific credentials, but from the fact that we all share this value judgment. And the strength of The Moral Landscape lies in its applying what we have learned from science to the evaluation of actually held intermediate level moral beliefs.